For Season 5 of Chef’s Table, we dig past the surface of the fine-dining world to reveal remarkable chefs and cuisines whose stories have for too long been hidden.Cristina Martinez, as an undocumented immigrant, has had to live under the radar purely for survival, all the while serving her delicious authentic barbacoa to the residents of south Philly. She now advocates for the huge number of undocumented workers that make our restaurant system function.Albert Adria was behind many of the groundbreaking creations of the world’s most influential restaurant, El Bulli, but lived in the shadow of his older brother Ferran, who became the world’s most celebrated chef.Musa Dağdeviren documents and preserves the vast array of flavors and cooking styles of Turkey, creating a shared culinary culture across sharp ethnic and political divides.Bo Songvisava reclaims and revives farming techniques and recipes nearly forgotten in the globalization of popular Thai food. 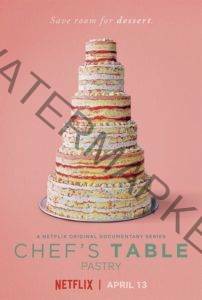 If you like what read about Chef’s Table Seasons 5, please remember to share Netflix New Releases on Facebook, Twitter or wherever you guys want it’s all appreciated.